While sociopaths qualify as narcissists, not all narcissists are sociopaths. What drives them differs. But the main distinction is that a sociopath is more cunning and manipulative, because their ego isn’t always at stake. In fact, they don’t have any real personality. They’re the ultimate con artists and can take on any persona that suits them. Thus, they may be harder to spot, because they’re not trying to impress you or win your approval – unless it serves their agenda. Instead of bragging, their conversation might center on you rather than on themselves, and they can even be self-effacing and apologetic if it serves their goal. Like premeditated killers, a sociopath is more calculating and might plot and plan an attack month in advance; whereas, a narcissist is more likely to react sooner, using intimidation and lies. Sociopaths are lazier and try to swindle, steal, or exploit others financially, while many narcissists though exploitative, work hard to achieve their aims or perfection. Although both characters may be motivated to win at all costs, narcissists are more interested in what you think of them. They need others’ admiration. This makes them dependent and codependent on others, and actually capable of being manipulated. 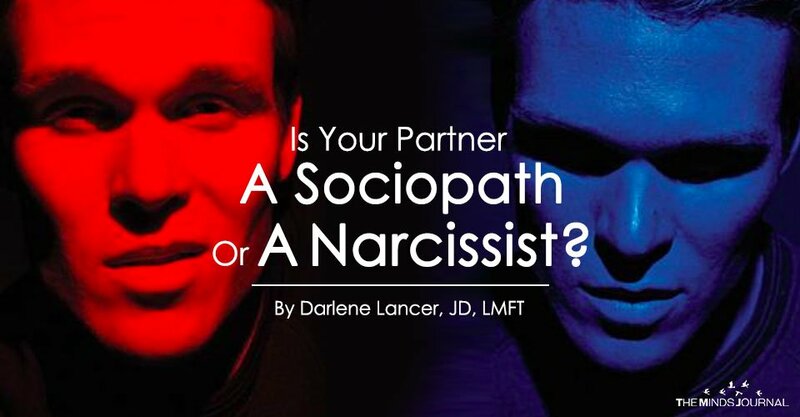 They’re less likely to divorce their spouse than a sociopath, who might leave or vanish if they’re exposed or don’t get what they want. You cannot change another person, but changing your behavior will change the relationship. You need support to restore trust in yourself and others that become damaged in an abusive relationship. Find help to set boundaries and raise your self-esteem. Many narcissists can improve with treatment, and those who have insight can benefit from psychodynamic psychotherapy. 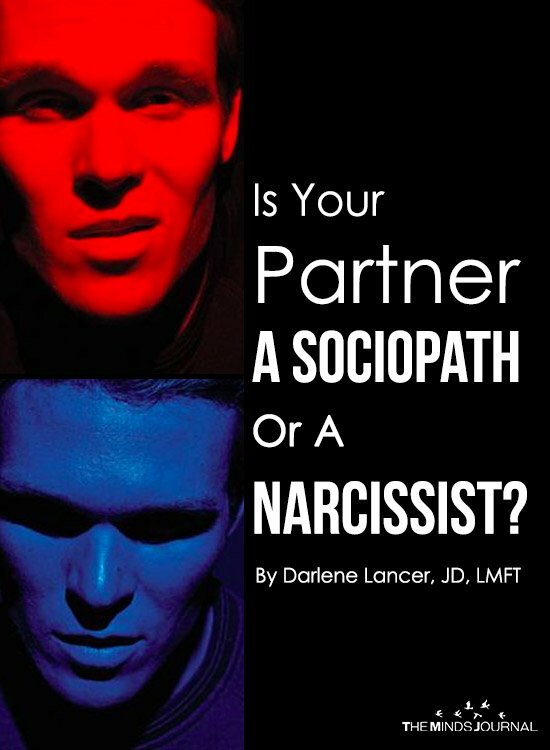 If you suspect you’re in a relationship with a narcissist, learn more about narcissistic relationships and get my checklist of narcissistic behaviors. Everyone is unique, and people don’t always fit neatly into defined categories. Severe NPD resembles APD, and any differences are really irrelevant. Don’t be concerned with diagnosing; instead, put your energy into healing yourself from trauma or PTSD and codependency. Become assertive and set limits. If you’re in an abusive relationship, seek help immediately. Neither staying nor leaving is easy. Focus on gaining awareness, protecting yourself, and getting help and support. Follow the steps in Dealing with a Narcissist to raise your self-esteem and set boundaries and to evaluate the prospects for improving your relationship. When you argue and fight with an abuser, you lose. But that doesn’t mean that you don’t confront what is going on. However, you need to do so calmly and strategically. Change and a better life is definitely possible.